PRESS RELEASE - Behold Makati’s Christmas tree – and get inside too! 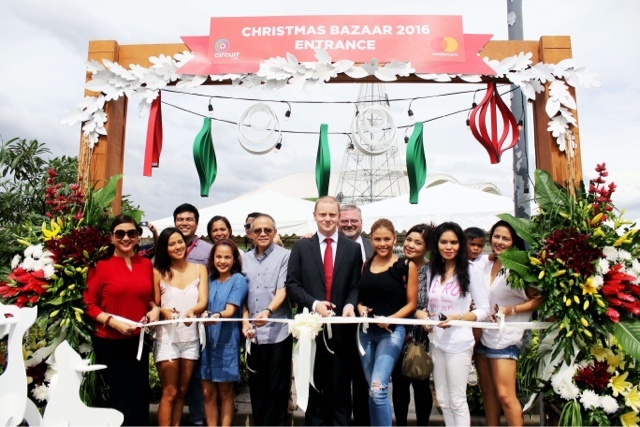 Press Release- Manila, Philippines -It’s a bright and scintillating Christmas at the Circuit Makati, home of the city’s immersive and awe-inspiring Christmas tree. Blazing against the night sky with an explosion of lights, the 56-foot, interactive Christmas tree redefines the Makati skyline as it welcomes everyone to Circuit Makati, the lifestyle and entertainment destination for those who want the best that the holidays can offer. In partnership with Mastercard and Alveo, last November 18, this magnificent masterpiece made purely of 250,000 sparkling lights brought light to the biggest, hippest, Circuit Makati Bazaar 2016. Around the tree, 2,500 strands, each with 100 lights, plus 150 sets of meteor lights, create a magical spectacle that showcases the grandeur of Christmas. From sun up to sun down, the thousands who flocked the 3-day bazaar, co-presented by Mastercard and HSBC, for its six Christmas villages-- Star Avenue featuring gift finds from top local celebrities, Mommy’s Best by Project Mom (headed by Amanda Griffin and Bianca Araneta-Elizalde), Lil’ Preneur by HedCen, Millenial Spot (with merchants from Karl Edwards and Kaizen Events Inc.), Fit & Fab by Hunt and Gather, and Mercato Centrale, not only shopped their heart’s delight, but also witnessed the breathtaking Christmas tree. In addition, guests were serenaded with Christmas carols from The Voice Kids and the students of HedCen, coupled with dance and other acoustic performances. Exciting activities such as the photography workshop by Canon and Nikon, a Zumba party, and a raffle with prizes from Oppo, Power Mac Center Spotlight, SandBox Alviera, Nuvali CampN, and Mystery Manila delighted everyone who went to enjoy the Christmas rush. Giving a new dimension to Christmas trees, the giant Circuit Makati tree can be accessed from inside and out giving a more immersive experience for all. Come inside and marvel at the sight of countless moving lights, many of which have been recycled from the previous years with the aim of staying environmentally friendly. To bring more life to the Christmas tree, it has been jazzed up with more color to evoke a youthful and vibrant vibe, and sprinkled it with circular patterns inspired the Globe Circuit logo. The result is simply spectacular. 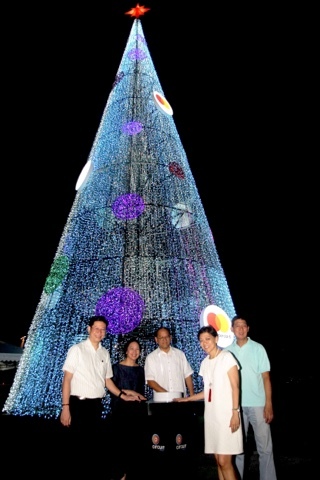 “This year, we wanted to curate another magnificent display with a modern and interactive Christmas tree that’s sure to entice our visitors,” said Shiella Aguilar, in keeping with Ayala Land’s efforts to bring bright lights to various estates across the country, transforming its developments into a Christmas wonderland where people can come together and feel the magic of the season. The Circuit Makati Christmas tree will continue to bring joy until January 8, 2017. Indeed, bright lights are bringing Christmas cheer to the ever-bustling city. 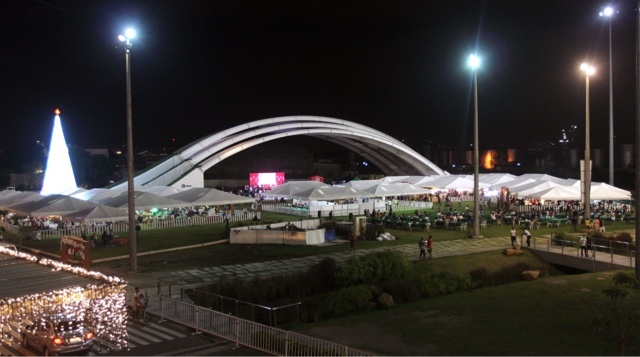 As if this were not enough, Ayala Land has upped the ante as it lined up exciting fun-filled activities and great entertainment for every member of the family this season. Visit the Ayala Triangle Gardens to witness the nightly Festival of Lights, a world-class lights and sounds show that has become a yearly Makati signature attraction that never fails to elicit oohs and aahs from everyone with its 3 distinct medleys: Christmas Fiesta, Classic and Epic Christmas, Sweet and Magical Christmas that will run daily until January 8, 2017, every 30 minutes from 6PM to 10PM. Beyond this lights and sounds show is a dynamic, stained glass inspired street lights installations in time-honored Christmas themes that lights up Paseo de Roxas, Ayala Avenue and Makati Avenue. Hand in hand with these are Christmas festivities that make Christmas in Makati truly memorable. There will be daily Thanksgiving masses at the Ayala Triangle Gardens Fountain Area every evening at 6pm from December 15 to 23. On December 19, witness Makati high school chorale groups serenade everyone with well-loved Christmas carols at the Makati Inter-High School Caroling Competition at the Globe Circuit Events Grounds. Makati definitely makes it happen all throughout the month of December as the city gives you the chance to celebrate the holidays with Mastercard’s amazing promos and offers in the city’s finest hotels -- Holiday Inn & Suites Makati, Raffles Makati and Fairmont Makati. There’s a treat for everyone, from homebodies to foodies to those who just want to unwind! Let’s spread the Christmas cheer by paying homage to the city which truly embodies the spirit of Christmas -- Makati. For more information, check out Facebook.com/CircuitMakatiOfficial or check www.makeitmakati.com/circuit-makati.